This past Thursday I finished up with my last ever exam in DkIT. I had intended on discussing each exam as I went along here on my blog, but I found that the time would be better used for studying. In total I had 5 exams, 2 of which I didn’t look forward to at all. They were the first and last exams. The last exam had me really frustrated and nervous about whether or not I would be able to actually pass the subject. I am not sure what I CA marks were before going into the exam, the CA made up 30% of the overall result, not a huge amount, but still enough to swing my result in the wrong direction. I was banking on certain questions to come up, the exam was in financial management, and I only looked at topics I liked and hoped they would come up. Luckily for me, exactly what I wanted to come up, did. But that’s not to say I did brilliant in the exam. I do feel though that I have done enough to pass everything, and I will know exactly how I have done, in June! Now that college is over, I now have to begin to plan for my future. This is an area I am still unsure about. I do know that I want to work with web development, since this is what I am most passionate about. It is always good to like what you are working at; it simply makes the days go quicker, unlike having no interest in your job, like my current one! The decision I have to make at the moment is, do I go and look for a job, which will most likely be in another county, most likely Dublin. Dublin is not too far away but I would rather not have the commute, I could always move if need be. My next option is to see how I get on by myself, doing freelance work. In order for freelance to work a lot of effort will have to go in, it’s nothing that I am not willing to do. I am eager to work for myself. Over the course of this summer I will have to make huge decisions, possibly life changing for me. But it is an area that I am feeling excited about. As for being finished up with college, it still has not sunk in yet. I think that once September rolls round and I realise that I don’t have to go back to college, it will hit me. I have never been out of education; I have gone straight from primary school then into secondary school and then straight into college. This is why I think it will be September before I realise that college is no more.. But this summer will be a busy one, I have a fair bit of work lined up for myself, which is good because it will keep me busy and is in the area that I enjoy. I also have a project with my ‘former’ college mates (seems strange saying that now! ), this project will begin this summer and I far as I am aware at the moment, should be launching this coming September. Today I began the first of my 5 final exams for college. 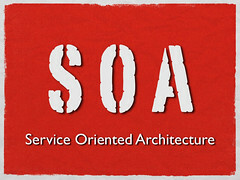 As I thought, today’s exam (in Service Orientated Architecture) was very difficult. I was confident going in, I had covered everything that I needed to, but the thing that always gets me with exams is the way the questions are written. Questions are always written using words that I don’t always fully understand; I don’t know why lecturers insist with trying to confuse us! I know that on numerous occasions we have said to some of our lecturers that some of the language is a bit to hard to understand, and yet they still refuse to do anything about it, maybe they just do it to annoy us! I made a decent enough attempt at the exam anyway and I am confident that I have done enough to pass. Whether or not I get a high score is debatable, but for this module I would simply be happy to pass it. On the other-hand, I am happy to know that the hardest exam out of the 5 is out of the way! Tomorrow I have no exams so I will be putting together all my notes into one organised file for Wednesday exam, because my next exam is open book! It is strange to have an open book exam for a final exam; I never had one before, other than in class open book exams. The thing about open book exams is that more is expected from students, it is easy to think that there is no need to study for it, but I wouldn’t be happy if I didn’t at least take a look at the notes! So tomorrow I will be making sure I revise for that open book exam. People always say that since it is open book that it will be easier, I don’t agree at all with that, I think it might have easy questions, but for the answers a lot more is required so an extra difficulty level is added in! Yesterday i had my presentation for my Dissertation. As i said in previous posts, i was not really looking forward to it. I was anxious, but i always am. Thursday night i was in a rush, i was just in from work and had to prepare my entire presentation for Friday morning, i should have done it earlier, but that’s just how i get things done. Pressure seems to be a good motivator for me! I managed to get the presentation and my word for word speech all typed up and into PowerPoint by about 1am. I then went off to get a bit of sleep before i got up Friday morning at 8am so i could memorise the speech i had come up with. I was still adding in extra bits as i read through it. I had originally thought i would only be talking for 10 minutes, but after saying it from start to finish it took me about 25 minutes and then i knew i was going to have to do my demonstration on top of that. I was glad i went through it before i went into the presentation, it gave me time to re-work some words i felt wouldn’t work. That’s how i like to prepare, i always have everything i want to say completely written out. That way i won’t have to look at the slides and determine what exactly i should be saying at any particular time. So the actual presentation went really smoothly. I was really relaxed once i woke up Friday morning (surprisingly), and once i was in the presentation room, it just went perfectly. I came across as a person who knew what they were talking about and also that i had prepared well for it. Exactly what is expected from us. The dress code was a lot different than the usual presentation; the norm would be to simply wear a pair of jeans and a top, not for your Dissertation though! Smart clothing was required, that means suit and tie! I met them half way! I wore no suit jacket, just a shirt, shoes and trousers. During the presentation i was asked questions now and again, we were told previously that they Q&A would be at the end, but i suspected that they would want to question as i went along. I felt confident answering the questions asked, i had prepared for lots of questions on security, since my dissertation supervisor loves that topic and was present at the presentation. For the demonstration i presented two things, i demonstrated a cloud application called MobileMe, i am sure many people are familiar with that. 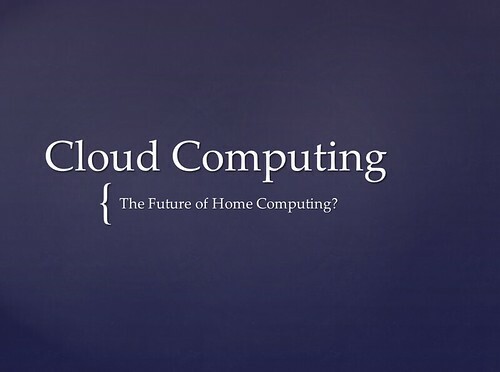 The second demonstration was of a cloud operating system called Jolicloud! Both spectators of the presentation were interested in the demonstrations; i feel that it breaks up the presentation for them! In the end i was told that they were really happy with how i presented the Dissertation and that they found it interesting and i was also told that the Dissertation itself was enjoyable to read! I was delighted to hear that. I am not sure if i get a result for the dissertation before the final official results later this summer. Either way, it should not be too long before i get all my results as my exams begin this coming Monday! I have still yet to fully put together my presentation which i will be using this Friday for my Dissertation meeting. I have a few titles here and there of what i will be talking about but nothing as of yet in terms of talk-able content. To make the presentation i needed to have a full read through of my Dissertation, this is something, up until tonight, i had not yet done! Even though i have had it bounded and sent off, i never read it from cover to cover! I read through each part as i wrote it and if my supervisor thought it was okay then i was happy. After reading it tonight i think it actually reads fairly well there are one or two spelling mistakes i had missed but nothing worth worrying over. Now that i have read through from start to finish i have a better picture as to what i will discuss in my presentation. Tomorrow i will be getting up early to hammer out the presentation to free up the rest of the day for practicing it and also to fit in a bit of studying for my exams next week. The next few weeks are going to be tough; there is no doubt about it. Firstly, this week I will be beginning to study for what will hopefully be my last exams of my current degree I wont say last ever, you never know I may end up in college again in future years. I will also be preparing a presentation for my Dissertation, which is taking place this coming Friday morning. I cannot express how much I will be “Bricking it” once Thursday Night / Friday approaches. I am always extremely nervous when it comes to public talking such as presentations; I tend to work myself into a false state of mind where the end of the world will happen if I perform poorly in a presentation. But for the most part I come out fine, I get everything across that I want to. This Fridays presentation will be no exception, I am essentially defending my dissertation by first talking about what it is etc., and then I have to be able to answer some questions and answers from the two people who are reviewing the presentation. I am a little more at rest since there are only two people watching me. The presentation is taking place in a small room; so small that there is no projector, just a computer screen in the corner, we were told this was so it would be less intimidating than having a larger room. To be honest no matter which room I get stuck in, I am still going to feel the same way. Up until yesterday night I was not very sure exactly what way to go about structuring the presentation, and what way to be prepared. I know it is a more formal presentation than usual, so that means black tie is essential! I was watching a few videos on YouTube, which have made me understand what exactly is expected. The best video I came across is about 22 minutes long, it is a presentation given by someone who attends these Dissertation presentations, and it is a really useful video. This is the video below. I took a lot from the video, I can never help myself think that a presentation is just a fancy word for a chance to be grilled, and the funny thing is that in that video the woman explains all about that and how the reviewer is simply asking for a better understanding of something they may have misinterpreted! Once the presentation is over I will be feeling a lot more relaxed and can really focus on my exams. This year I am approaching my exams differently than I have over the past 3 years. This year I have taken the step to book every day off before each exam from work. I always forget to do this and by the time I think of it, it is too late of notice for work. When it comes down to it, usually I am off the night before an exam anyway. But last Christmas took the biscuit withe exams and work. I was in work until 1am with an exam the next morning, I had intended on going home and getting in a bit more studying at the time I should have, which would of been 10pm! So this time I have just gone ahead and booked all the days I want off, and I can now rest a bit more knowing I have that little extra time to revise. In total I have 5 exams, they are spaced out nicely across just over a week. I start into the exams wit what is most likely the worst of the lot, and I also finish with what would be a close second to the first in terms of difficulty. That last exam cannot come quick enough, believe me! I am looking forward to feeling a little less burdened from college work. To be honest, college has finally taken it’s toll. This last year has just been painstakingly slow and boring!